thanks mate, will update it now. Round 1 is now live for the week! 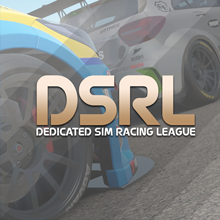 and for those who still haven't, make sure you request to join the DSRL RC league so you can take part in round 1! Hey everyone! If any of you new chaps fancy, dive over to the introductions thread and say hello. Hey. The following 3 Racenet ID's remain un-identified. Should anyone recognise them please ask them to log in here before its too late! Many Thanks! Be safe out there, its a bit slippy!!! I do have one question. Are we going to have a week to complete the stage on our own time? The only reason I ask is that if there is a set time that we have to run each stage then I will miss February's event due to work. If I am running on my time then I should be able to compete. I will add car this week. I still need to earn the money for it. Glad to have you signing up duder!